Good morning polished world! How are you all doing today? We were supposed to get some huge snow storm but it really never amounted to anything. It's been such an odd winter, we really have had no snow. I know I should be happy, but I would just like a foot of the fluffy stuff at least once. Tomorrow is Valentine's Day (blech) so I figured I should do something somewhat festive on my nails. I couldn't think of anything super creative, so I opted for a naked nail dot manicure. 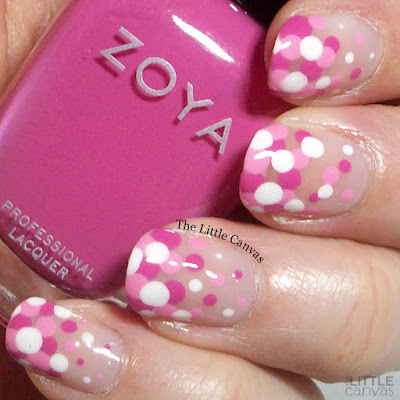 When in doubt, grab three colors and just dot them on your nails. For someone who dislikes pink and Valentine's Day, I really did enjoy this manicure. 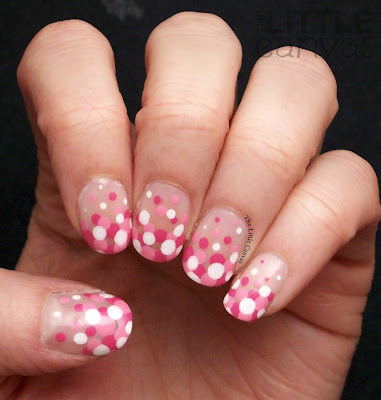 The naked dot manicure always is super easy, and makes it look like my nails are way longer than they really are. To get the look, I started off with a base coat. Currently I'm using FingerPaints base coat that you find on the shelf with their core collection. 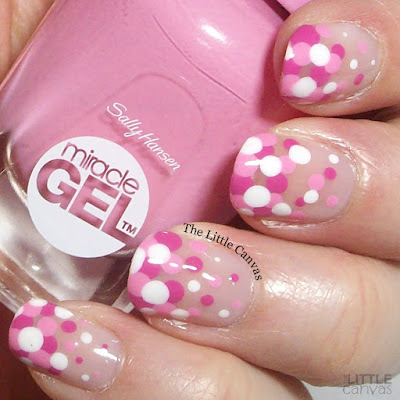 It's a milky white base which dries clear on the nail. When dried, I went through and started dotting. I always tend to put the darkest color down first. For this manicure, it was Zoya Rooney. A gorgeous deep pink shade that sits in the back of my Melmer completely neglected. It truly is beautiful. 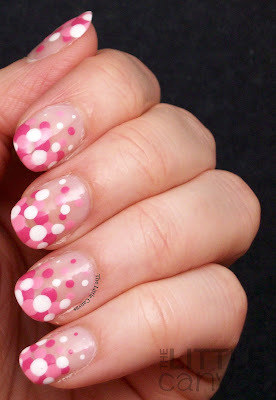 After my Rooney dots were dried, I went through with Pink Cadillaquer by Sallly Hansen. This polish is a beauty, but unfortunately I don't think I'm ever going to be able to use it again as a base color. The brush has completely fallen apart!! I'll have to take a picture and post it to Instagram, I can't even explain it. It's literally destroyed. 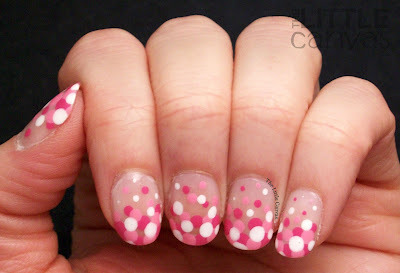 Anyways, when the baby pink dots were on and dried, I went through and filled in the empty spaces with the white. Slapped on a top coat and called it a day. What do you think? Are your nails all ready for Valentine's Day? Has anyone else's brushes in their Miracle Gel polishes completely fallen apart??? Bestie Twin Nails with 25 SweetPeas!